before I knew it I had well and truly massacred my finger and alas, found no safety switch, just the kitchen bench looking like a murder scene. 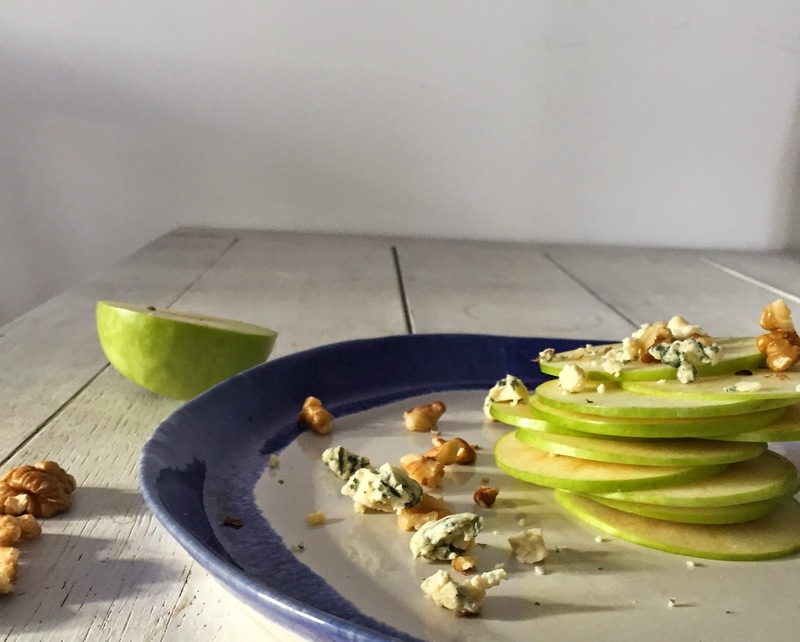 6 apples... you can mix and match the best slices for your stacks, the more choice the better. Very very carefully thinly slice your apples with a mandolin, if you have one, or a knife will do just fine, and in hindsight probably safer if you are not a regular mandolin user! Place apple slices under cold water to prevent any browning of the apple flesh. Pick the best slices and pile high, then the decoration is up to you. 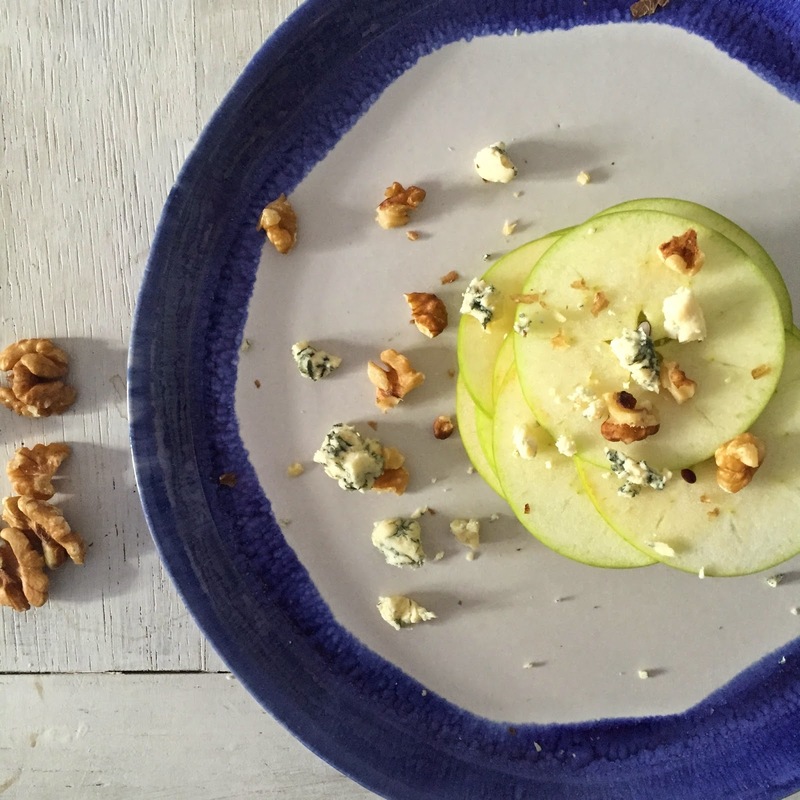 Scatter or layer up the gorgonzola and then dust with your crumbled walnuts. Add some creamy dressing if you fancy it too.